Last winter, the Giants went into free agency knowing they needed to upgrade their starting rotation if they hoped to get back to the playoffs. They spent big on Jeff Samardzija and Johnny Cueto, won the Wild Card game, and gave the Cubs all they could handle in the NL Division Series until their bullpen imploded. This winter, if they hoped to get past the Cubs (and the rest of the National League) next season, the Giants had to upgrade the back end of their bullpen. And they did just that today, signing All-Star closer Mark Melancon to a 4-year, $62 million deal. 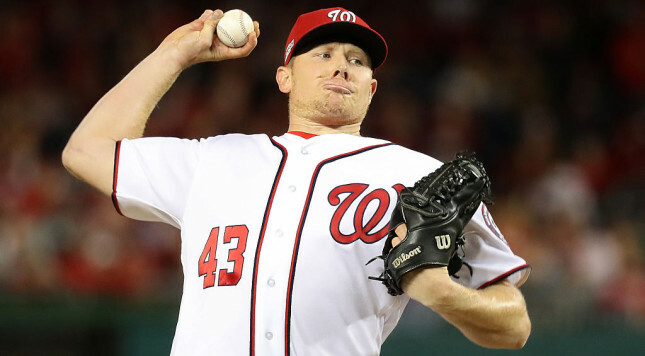 Source: Melancon with #SFGiants is indeed four years, $62M. Melancon has been one of the most reliable relievers in the game since joining the Pirates in 2013, posting a 1.80 ERA while striking out 268 batters against just 45 walks. He saved 147 games in that span and will immediately give the Giants something they’ve lacked since Brian Wilson blew out his arm: certainty at the end of the bullpen. Melancon wasn’t the sexiest closer name on the market, but the Giants were aggressive in part because they knew the contracts that Aroldis Chapman and Kenley Jansen were likely to receive might price Melancon out of their budget. And the money the Giants saved can now be put towards filling another hole or two, like finding a power outfield bat or a fifth starter. There’s also the added bonus of keeping their draft pick. It’s record-breaking money for a closer (for now, anyway), but the Giants knew their bullpen simply wasn’t going to cut it anymore. They’re a team built to win now, with a number of stars in their primes, and they simply couldn’t just wait and hope one of their homegrown relievers would step up and take the role. Signing a closer like Melancon was a necessity if they wanted to play deep into October again. With him taking the closer’s job, there’s also more certainty in the bullpen. Guys won’t be wondering who’s going to close on what given day (something that became a problem as last season wore on), and they can be more comfortable in their roles. Installing Melancon lets everyone else fall into place. The Giants have committed over $300 million to their pitching staff over the last two winters, so no one can say they’re not trying to take advantage of their window to win. They were a bullpen piece away from taking the world champion Cubs to the limit in October, and now they’ve found that piece. Is it enough to guarantee another World Series appearance? Of course not. But they’ve filled a major hole on their roster and made big strides towards contending again. Plus, they left themselves flexibility to make more moves. It’s the best scenario the Giants could’ve hoped for this offseason.